PS3 hackers have figured out a way of circumventing Sony's PSN bans on those that jailbreak their PlayStation 3 consoles, as the war between the hacking community and Sony rumbles on this week. 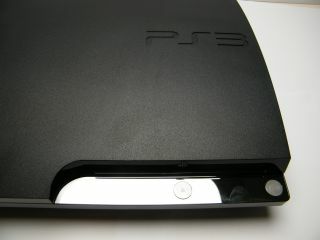 Sony moved to block PS3 hackers from accessing the PlayStation Network recently, as TechRadar reported late last week. Mere days later and a new jailbreak has reportedly been released that lets hackers unban themselves and continue accessing PSN's online services as before. "A circumvention device and/or unauthorized or pirated software currently resides on your PlayStation 3 system. Immediately cease use and remove all circumvention devices and delete all unauthorized or pirated software from your PlayStation 3 system. "Failure to do so will result in termination of your access to the PlayStation Network and access to Qriocity services through your PlayStation 3 system." Undeterred by Sony's swift moves to ban jailbroken PS3s from its network, Destructoid reports that the latest update to the PS3 jailbreak not only lets you unban yourself, but also ban other users, should you be so evil. Expect a response and an update from Sony's anti-piracy specialists very soon on this, as the PS3 jailbreak war continues.